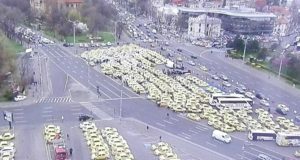 The FORT operators have given up the protest downtown Bucharest, with the Government promise to approve their demands in the first sitting. 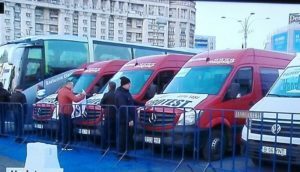 The federation’s representatives were satisfied after the talks with Transport Minister Razvan Cuc, leaving the negotiations soon after noon. They were promised that the Government will approve their demands in the first sitting, so the protests has ended three hours earlier than scheduled, digi24.ro reports. 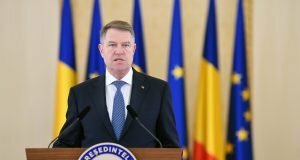 The Federation of Transport Operators in Romania (FORT) has requested that carriers without the necessary licenses are sanctioned at the first offense. The carries want to have exclusivity on intra-county and inter-county routes, withoug being forced to buy new vehicles. 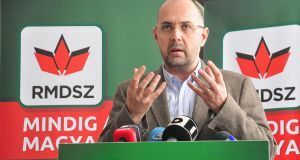 “If the first Government sitting next week does not approve our demands, we will cease all transportation,” FORT Vice-president Florin Bocai said on Wednesday. 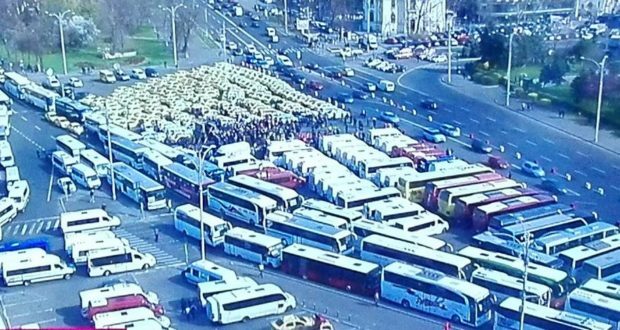 Dozens of taxis and buses from several counties blocked Wednesday morning the Victoriei Square, in front of Government building, protest staged FORT. The carriers are dissatisfied by the delay in issuing the promised emergency ordinances by the Government in the field of passenger transport. The protest was authorized. FORT had urged the Government to solve the problems on the passenger transport market, in order to combat the illicit passenger transport and to extend the inter-county and county passenger transport programmes, hotnews.ro informs. FORT argues the emergency ordinances are blocked in the approval circuit. FORT says the sector has never faced such an impasse, which risks blocking the national road passenger transport, a release from the federation read. Talks were expected to start at noon between FORT representatives and the Executive. The Confederation of Authorized Operators and Carriers in Romania (C.O.T.A.R.) has also announced street protests on Thursday, March 21, if the Government does not issue the emergency ordinance promised three weeks ago, the confederation informed on Tuesday. The protest will be attended by authorized carriers, COTAR members, amounting to over 5,000 vehicles.